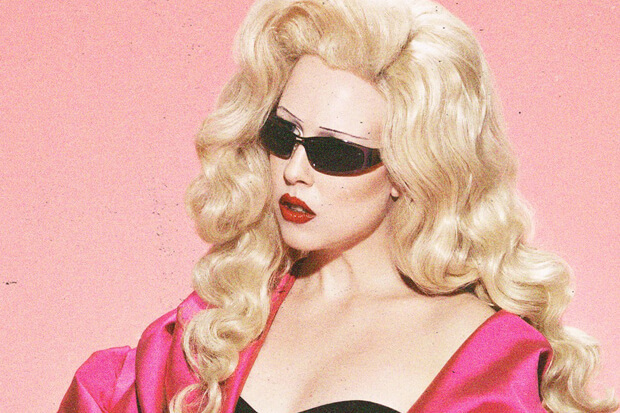 Allie X continues her string of pristine pop releases with her new single, “Not So Bad In LA.” The hitmaker consistently churns out high-quality content (“Sanctuary” is one of my favs and needs to be on your playlists), and her latest is no different. She has been living in the City of Angels for the last four years, and her experiences in the fast-moving mecca provided the inspiration here. How did the idea strike? “I was driving to the dry cleaner and it was really sunny and really nice and I said ‘ah, it’s not so bad in L.A.’ I made a voice memo,” she explained. She transformed the initial memo into a brooding exploration of the town’s glamorous but vapid excesses. Over a throbbing bass she sings about blatant problems that plague the Hollywood lifestyle whilst losing herself in the rush. “In a city that lives while its bright stars die. And you start to get old when you turn 25. Where else can you go when you’ve got that drive,” she coos on the opening lines. Ambition is a recurring theme on the track. However, it is balanced with the reality of what happens after an aspiring star’s “quick 15” fade. Things build up to the chorus, where the synth pop princess delivers her final verdict. “It’s not so bad in LA. The parking’s cheap and valet. Those blue skies day after day. It’s not so bad in LA.” The production feels reminiscent of some of the darker content on last year’s CollXtion II (“Simon Says” in particular), but I’m also getting Lana Del Rey vibes. There’s something about Allie’s vocals, twisting lyrics and stark realism that harken back to the Lust For Life siren’s discography in a very good way. “Not So Bad In LA” is another masterpiece that showcases a different side of the Toronto native’s musicality. 2018 is shaping up to be a strong year for her. I still haven’t recovered from last month’s “Focus.” The post-apocalyptic torch song strips back some of the exuberance of 2017’s “Casanova.” And the newly released analog version goes even further to highlight her expertly crafted lyrics and evocative vocals. She also landed a series of writing features on frequent collaborator Troye Sivan’s Bloom including his heartrending “The Good Side.” After touring with Hayley Kiyoko and appearing at multiple Pride events, it looks like the focus is shifting back toward dropping new music before a set at Lollapalooza next month. With any luck, her latest will bring in even more recognition. Give it a listen below! Do you love Allie’s latest bop? Let us know below, or by hitting us up on Facebook and Twitter!